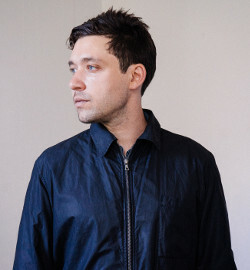 Born and raised in Paris, and currently living in Los Angeles, Daniel Wohl's music blends electronics with acoustic instrumentation to often "surprising and provocative effect" (NPR). He has produced albums, orchestral and chamber works, film and ballet scores, and has received critical praise as one of his generation's "imaginative, skillful creators" (New York Times) making work that is "beautiful…original" (Pitchfork). He has worked with chamber ensembles and orchestras including the Los Angeles Philharmonic, American Symphony Orchestra, Albany Symphony Orchestra, Bang on a Can All-Stars, Indianapolis Symphony, London Contemporary Orchestra, the Calder Quartet, eighth blackbird, New York Youth Symphony, Sō Percussion and has collaborated with artists such as Laurel Halo, Julia Holter, Lucky Dragons, and Son Lux. In 2016, Holographic, Daniel's sophomore album was released on New Amsterdam Records. Commissioned by the Massachusetts Museum of Contemporary Art, the Indianapolis Museum of Art, the Saint Paul Chamber Orchestra's Liquid Music Series, and the Baryshnikov Arts Center, the music from the album was deemed "aggressive and gorgeous" (NPR) with an electroacoustic blend that was "expertly handled" (Pitchfork).